1. 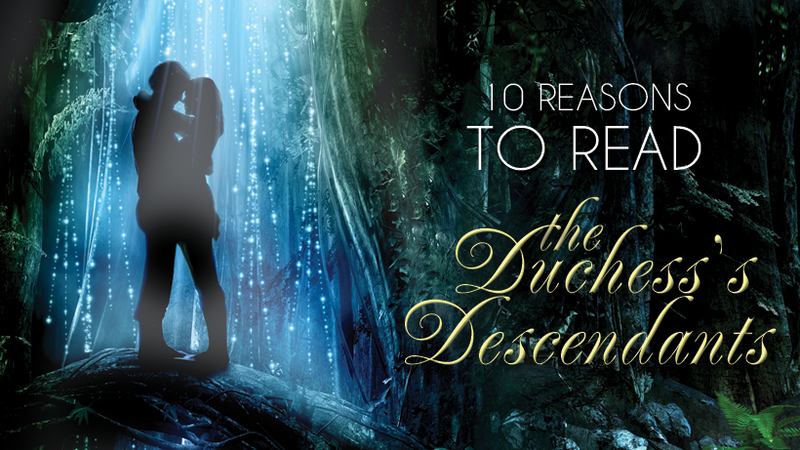 If you loved The Duchess Quest and The Duchess Inheritance, there’s now even more to love! 2. Even if you’ve never read the first two books, this book works as a standalone, too. 3. Because shipwrecks, woman scientists, charming rogues, stuttering violinists, hot soldiers, and native tribes, that’s why! 4. Like brotherly bromance? There’s lots of it here. 5. Love traditional romance? There’s lots of that, too. 6. Twists around every corner – we’ll bet you can’t predict what happens next! 8. And see the return of some beloved ones, too. 9. You’ll embark with the characters upon their epic misadventure, via a hilariously botched expedition, to a place you have seriously NEVER been to before. 10. Because you can never fall in love with Jordinia too many times!